In February, Toxics Action Center released a new report, Chemical Free Lakes, urging the state and communities of New Hampshire to discontinue use of aquatic pesticides as a lake management tool. In order to protect human and ecosystem health, Toxics Action Center makes recommendations to phase out the use of persistent pesticides and to instead implement non-toxic management tools. Lake management plans far too often rely on highly toxic chemicals, in turn trading clean water and healthy lakes for very short-lived gains in weed management. Communities in New Hampshire have already found discovered the benefits of using alternative management methods, such as hand pulling and diver assisted suction units, for controlling weed infestations. 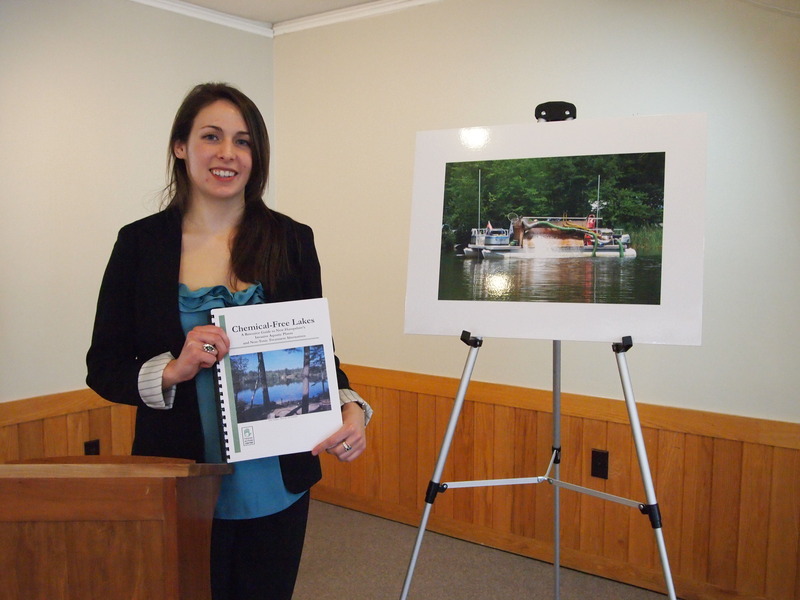 Toxics Action Center teamed up with the Squam Lakes Association and the tri-town collaborative of Moultenboro, Tuftonborro, and Wolfeborro, to provide case studies illustrating the success these groups have had in reducing or eliminating their pesticide use. The report profiles 15 alternative management tools, providing information to communities seeking to control exotic weeds in a safe, healthy and sustainable way.